Game 3 of the Western Conference Finals couldn’t have gone better for Kevin Durant and the Oklahoma City Thunder. Not only did they put a serious beatdown on the Golden State Warriors, but KD debuted his upcoming Nike KD 9 silhouette for the world to see. The first Flyknit upper in Kevin Durant’s signature series promises to be a smash hit thanks to Leo Chang’s design work and the fact that the shoe underwent a price overhaul to be an affordable $150 USD at retail. Today we get a look at an upcoming “Oreo” like colorway that utilizes a high contrast Black and White scheme atop the slip-on upper. 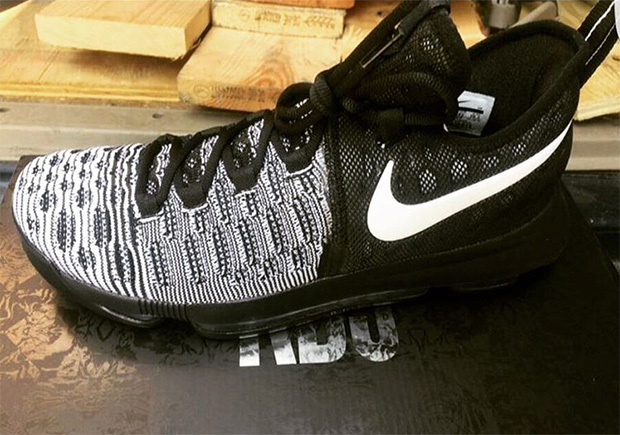 Do you think the KD 9 will be a success both on and off the court? Check out a full view of the latest colorway below and stay tuned for a release date in the near future. 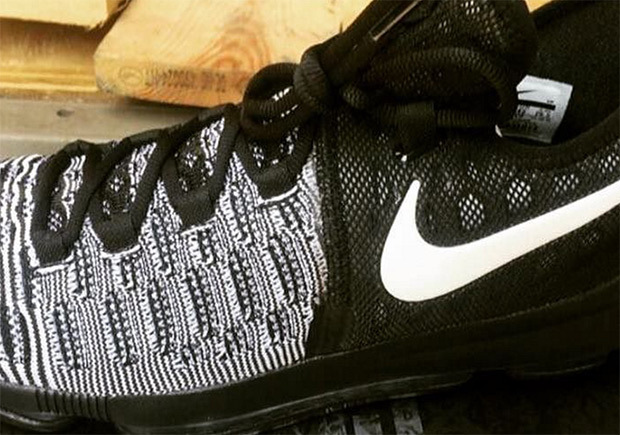 Update: The Nike KD 9 “Mic Drop” releases on July 9th, 2016 for $150. KD 9KD 9 "Mic Drop"Kevin DurantNike KD 9Nike KD 9 "Mic Drop"